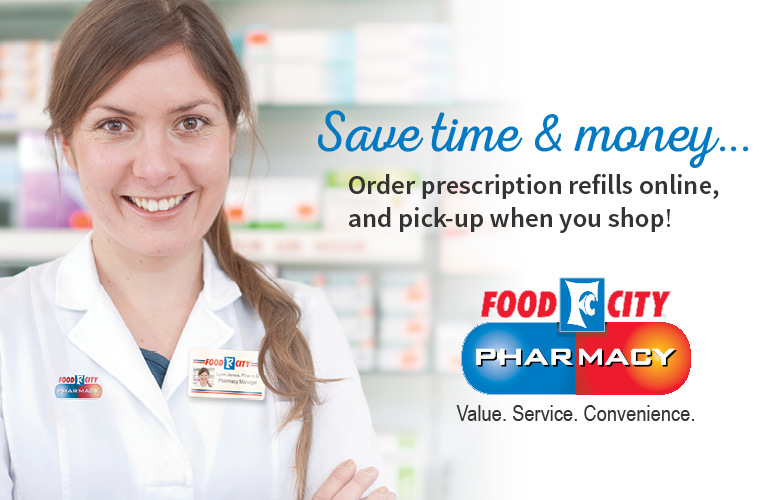 Welcome to our new Food City Pharmacy refill online site. We hope you enjoy the changes we are making! In order to access the new and improved features of our pharmacy site you will first need to create a new account. 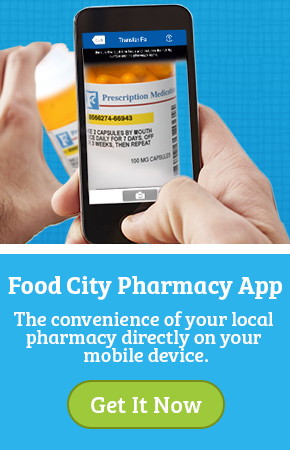 Simply go to the new Pharmacy site, then click Sign Up at the top of the page. Once your registration is complete you can view information about your current prescriptions, find special offers and easily refill or transfer prescriptions. If you are experiencing difficulties with our new Pharmacy Portal please refer to our Online Prescription Refill FAQ's page.